Darren and I have always loved dogs. When we bought our first home together, we put a deposit on a Chesapeake Bay Retriever puppy before we even moved in. That was 25 years ago . Newton lived to be 13-years-old and we have many fond memories of him. When it turned out our oldest child was allergic to dogs, we decided our next dog would be a Standard Poodle. Poodles have hair (like people) rather then fur, so they do not shed anymore than a person does. Abbie joined our family 12 years ago and we couldn't have asked for a better dog. One of my favorite of her quirks is that each morning she searches out every family member to greet us for the day. When we added Beau to our family, Abbie was initially skeptical of having a puppy nipping at her face and toes. But it didn't take her long to accept him and now they're great friends and often lay back-to-back when they're napping. Poodles are extremely versatile and intelligent dogs. They can be used for hunting, agility, rally, therapy and are popular service animals. They're easy to train and generally eager to please. They can keep up with an active family, but are just as happy to relax and be a couch-potato. 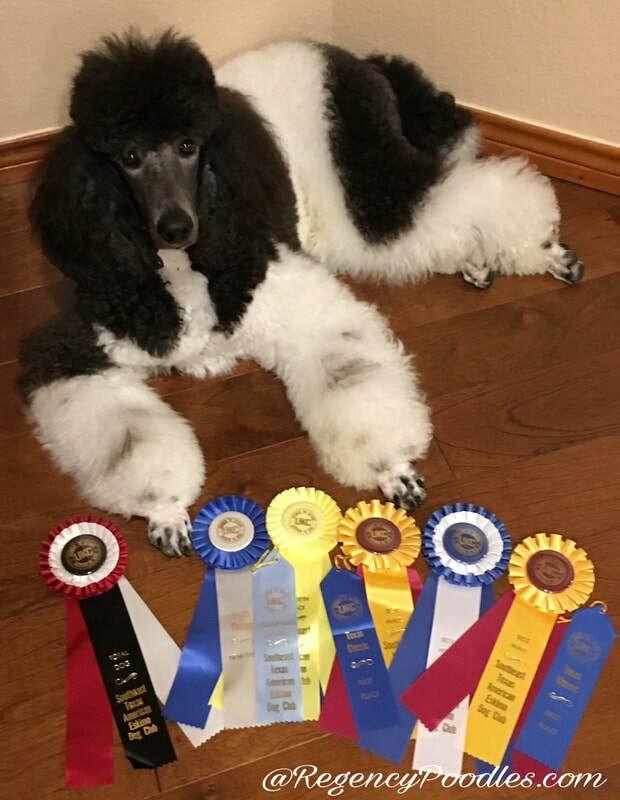 Poodles like to be with their family and prefer not to be left alone for extended periods of time - please keep this in mind when choosing this outstanding breed. Thanks for considering Regency Poodles!